Polish There are 22 products. The book contains a fairy tale about a horrible dragon that was outsmarted by a young shoemaker. 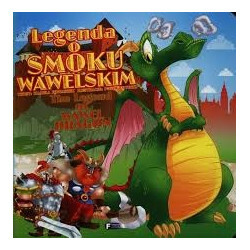 Polish/English version. Activity book for little children (aged 2+). This activity book contains 20 English/Polish names and pictures of vehicles. It also offers an opportunity to do some colouring and use stickers. Ideal for Reception classes and KS1 children that are learning their first English words. Activity book for little children (aged 2+). This activity book contains 20 English/Polish names and pictures of animals on the farm. It also offers an opportunity to do some colouring and use stickers. Ideal for Reception classes and KS1 children that are learning their first English words. Activity book for little children (aged 2+). This activity book contains 20 English/Polish names and pictures of different animals. It also offers an opportunity to do some colouring and use stickers. Ideal for Reception classes and KS1 children that are learning their first English words. Activity book for little children (aged 2+). This activity book contains 20 English/Polish words and pictures about holidays. It also offers an opportunity to do some colouring and use stickers. Ideal for Reception classes and KS1 children that are learning their first English words. Activity book for little children (aged 4+). This activity book contains lots of colouring, speaking and listening activities as well as stickers. Ideal for Reception classes and KS1 children that are learning their first English words and are being supported by Polish speaking assistants. The ideal first English Polish picture dictionary for children aged 7-15. This illustrated dictionary contains 1500 most common English words organised alphabetically by the initial sound of each word in English. Contains also a phonetic transcription of the English words. The book contains a fairy tale about a little kitten. The little kitten is learning about his role on the farm. Polish/English version. 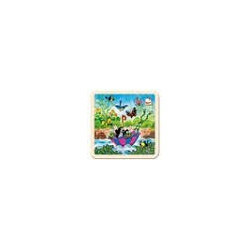 The book contains a fairy tale about animals. The little weasel, the little hedgehog and the little fox are going to their first lessons in school. Polish/English version. 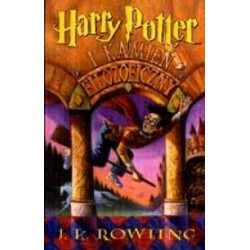 Harry Potter and the Philosopher's Stone is the first novel in the Harry Potter series written by J. K. Rowling and featuring Harry Potter, a young wizard. Written in Polish language only.